Where’s Waldo? In the spotlight . . . somewhere! Now that the rest of the scene has gone dark, finding him is a spectacular new challenge. Just when you thought you’d mastered the art of finding Waldo, along comes a whole new twist to tracking him down! 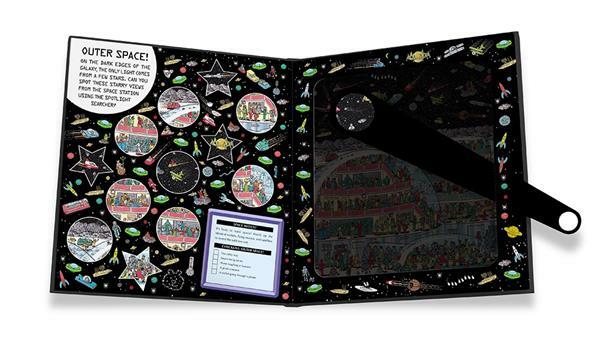 In an innovative, all-paper design that simulates a traveling spotlight beam, each scene is completely dark until the savvy reader slides a wand underneath to “light up” a small section. The trick is to carefully move the magic slider around until the right spot is revealed. 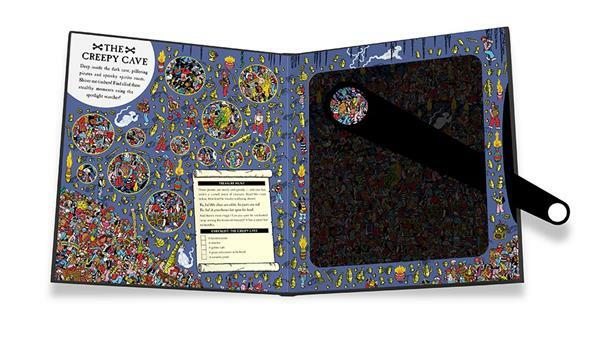 Each of the six classic nighttime scenes contains Waldo and four other favorite characters to find, along with bonus hidden content and additional games on every page. 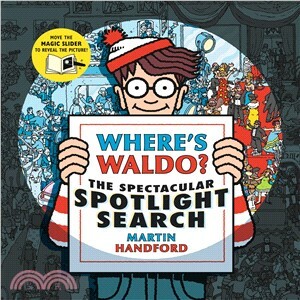 With an exciting new format that gives our wanderer the star treatment he deserves, The Spectacular Spotlight Searchis a must-have for Waldo fans of all ages. Martin Handford?is the creator of Waldo. He began his career as a freelance illustrator specializing in drawing crowd scenes — and the rest is history. He lives in England.